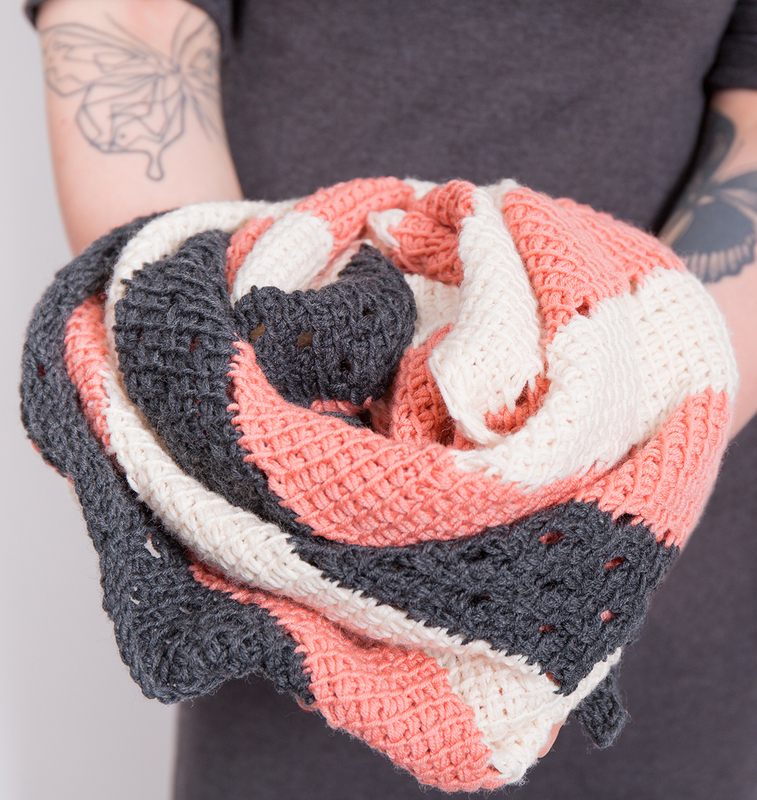 Do you already know how to crochet and would like to learn something new? Tunisian crochet is the latest trend and offers you wonderful creative possibilities! Together with DaWanda and the designer Nicki Hirsch, from the Berlin label of the same name, we show you this interesting technique, which is worked on a special long needle, on which all stitches have room. 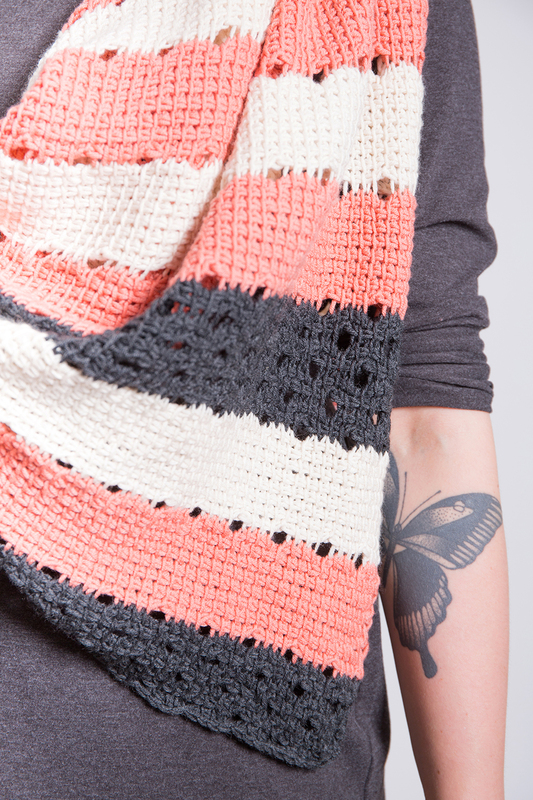 Pick your favorite three colors from our mix&knit yarns and make your very own triangular shawl with block stripes. The unique texture and fascinating lace pattern look simply wonderful! It’s a stylish accessory for autumn and winter that will also keep you cozy and warm.